There are so many ways in which Mac users lose their data. There can be hardware malfunction, software corruption, malware attacks, physical damage to storage devices, and human errors. When it comes to backup there are more than half a dozen ways you can go about keeping your data safe. It can mean spending a lot of your time taking backups. Despite this, it happens many times that users end up in situations where a significant amount of data is lost forever and cannot be recovered. 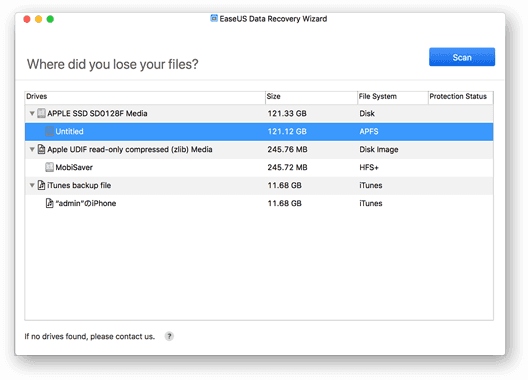 This is where EaseUS Data Recovery Wizard for Mac can help you. No matter how you lost your data, if you have access to the storage system, this mac data recovery program can recover your valuable data. 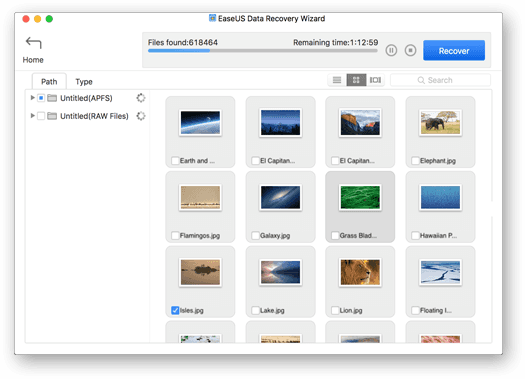 What Does EaseUS Data Recovery Wizard for Mac Do? You can recover data using your Mac from a wide range of devices. You can recover different types of data including images, audio files, video files, emails, documents, and other files. Over 200 formats are supported for data recovery. This mac data recovery software can not just recover your files, it can also repair the files. It is Mac OS compatible and once you open it, it will run an automatic scan of all the storage devices connected to the system. 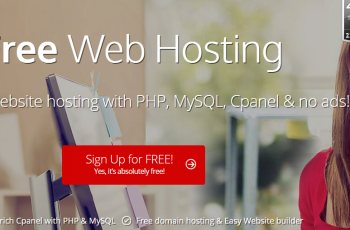 It detects all the deleted files and provides you an interface to view the files. You can recover your deleted or lost files from your desktop, notebook, hard drive, SSD, memory card, USB drive, iPod, CF card, SD card, or any other device that has storage on it and is compatible with your Mac. This program is designed to recover data even in case of the latest malware attacks including Bad Rabbit, WannaCry Ransomware, and Petya among others. It receives regular updates to ensure that it can help you recover data from even the latest malware attacks. This software allows you to recover data from accidental or intentional formatted/RAW hard drive, USB, memory card, or SD card. There are many ways in which you can lose data. A sudden software failure or power-off can result in error and data loss. Improperly disconnecting a storage device like a memory card or USB drive can result in data loss. But EaseUS Data Recovery Wizard for Mac can help in recovering data from any situation. As the name suggests, this mac data recovery program is designed for ease of use. Once you install and open the software, it will automatically detect the device that is connected to your Mac. It takes simple clicks to initiate the process and this program will scan the device instantly. It will list the deleted files in a simple interface. You can then easily select the files that need to be recovered. The software also allows you to select the type of deleted files that need to be recovered. There are hundreds of ways you can lose your data. 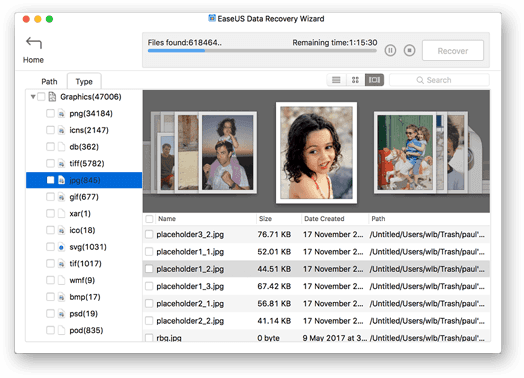 Whether its personal photos, official documents, music files, or videos, all types of data can be recovered with EaseUS Data Recovery Wizard for Mac. This mac data recovery software allows you to recover data from almost any data-loss situation ranging from formatting to deletion to malware attack to partition loss and everything in between. 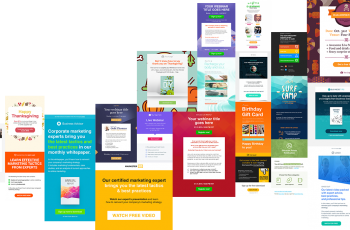 What Makes GetResponse a Pioneering Email Marketing Platform?